Run a Café for Fun & Profit! 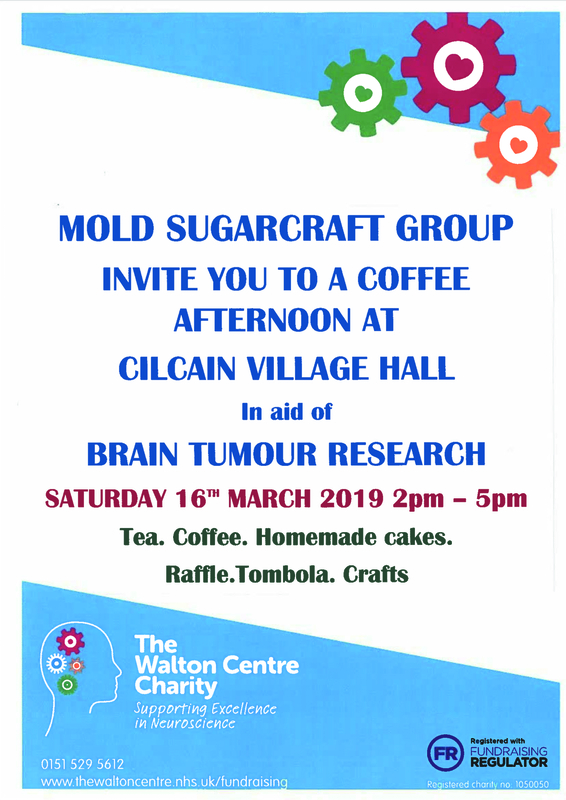 Our next Community Café on Saturday 16th March will be hosted by Mold Sugarcraft Group, in aid of Brain Tumour Research. Besides refreshments and delicious home-made cakes, there will be a raffle, tombola and crafts for sale. Doors open 2.00 pm – 5.00 pm. 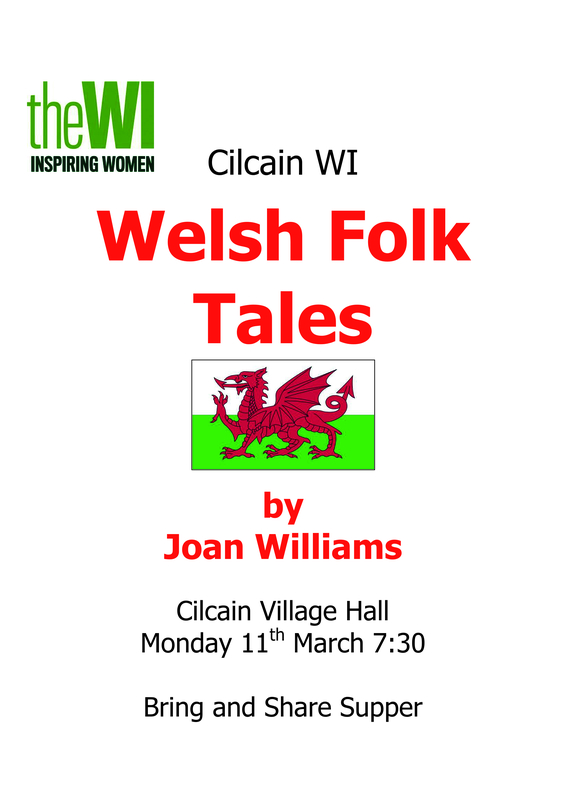 Jean Williams will be giving a talk on Welsh folk tales with Cilcain WI at the Village Hall next Monday evening, 11th March. 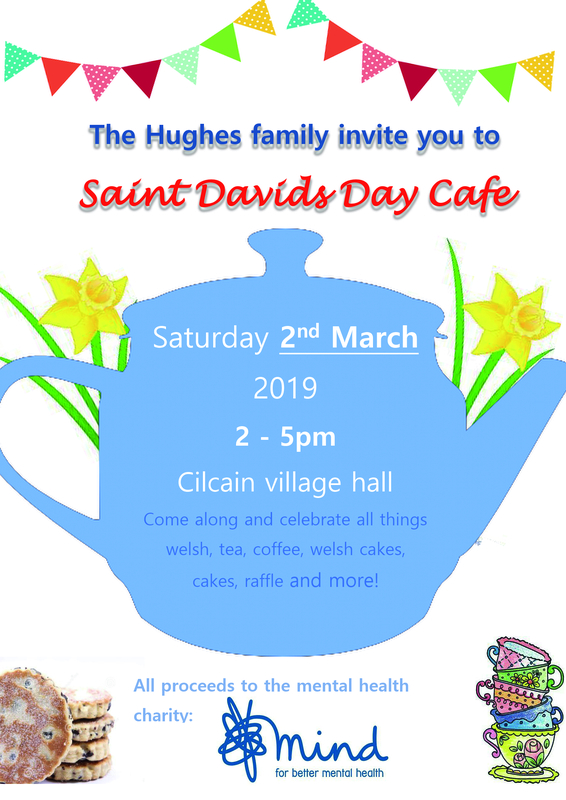 Welcome the arrival of March and celebrate St. David’s Day at our next Community Café, hosted by the Hughes family in support of the mental health charity MIND. 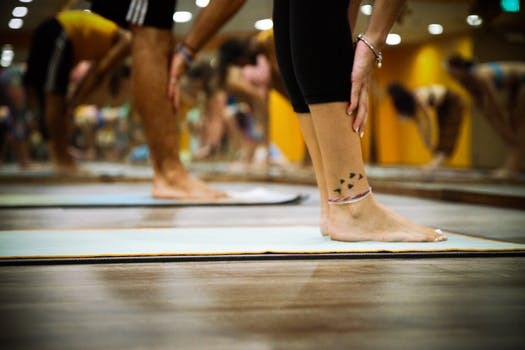 Please note that due to it being half-term, there will be NO YOGA CLASS next Thursday, 28th February. Classes will resume as normal on Thursday 7th March. 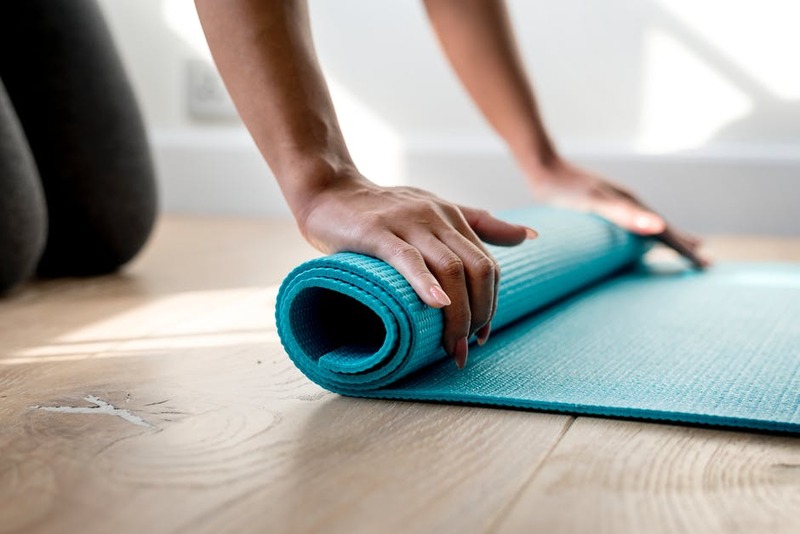 Pilates is coming to Cilcain Village Hall! Mike Cragg will be starting his classes at the Hall from Thursday 2nd May -more details to follow soon. Our next Community Café, on Saturday February 23rd, will be hosted by RENEW (Refugee Essentials North East Wales), a branch of CARE UK. 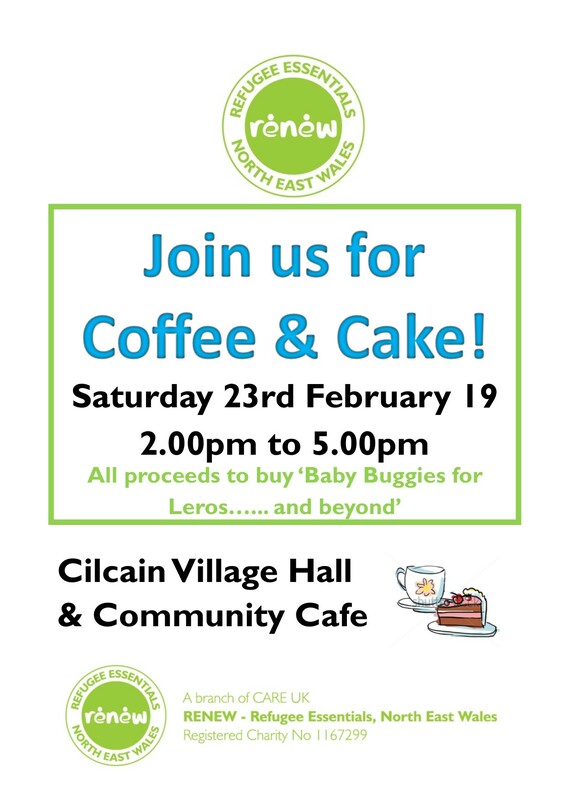 All proceeds will be used to buy ‘Baby Buggies for Leros…and beyond’. If you are a young woman aged 16-22 and interested in a career in politics, you might want to read this letter from Hannah Blythyn, Welsh Assembly Member for Delyn. 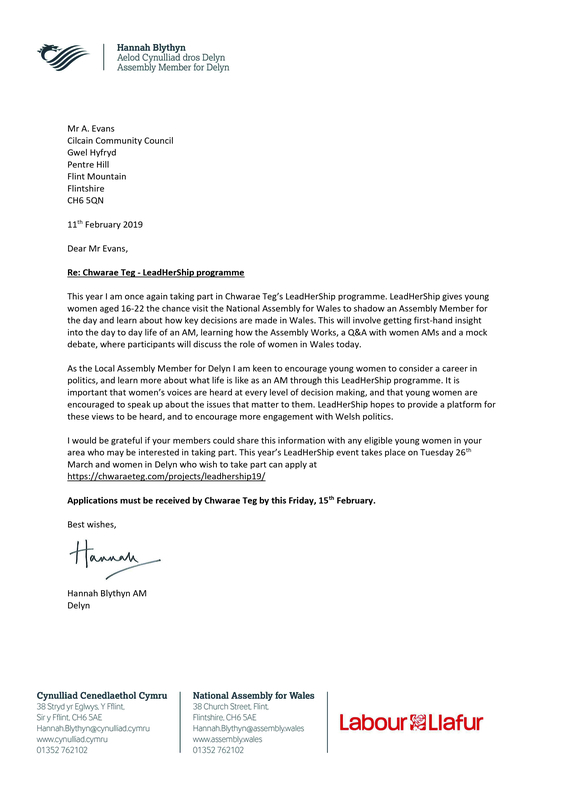 Applications to visit the National Assembly for Wales to shadow an Assembly Member for a day on Tuesday 26th March must be received by Chwarae Teg by this Friday, 15th February (apply via this link: https://chwaraeteg.com/projects/leadhership19/).